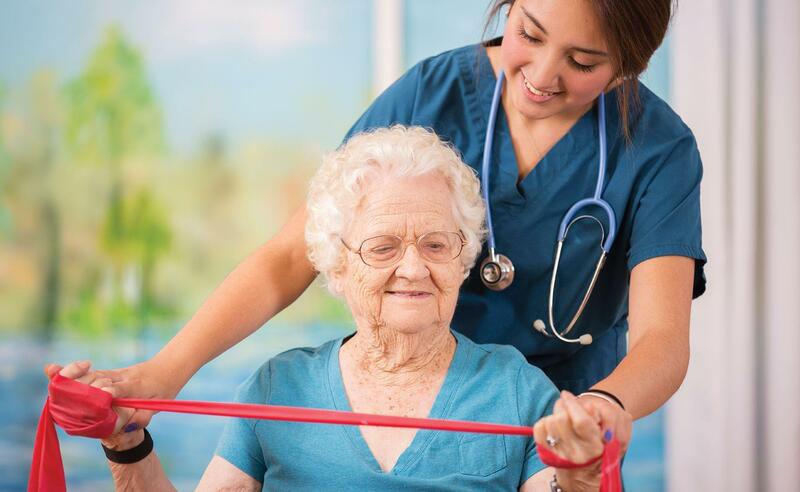 Rehabilitation therapy is often an important part of a treatment program for seniors who have been injured or suffered an illness which has affected their abilities in some way. It may be caused by stroke, a heart attack or even just a sickness such as pneumonia, which has left them with limited capabilities for everyday tasks. Rehab therapy is also used in programs for hip and knee replacements or other surgeries to help the person regain their independence. Not all rehab treatments look alike. Instead, they are often tailored to the individual to help them meet specific goals. 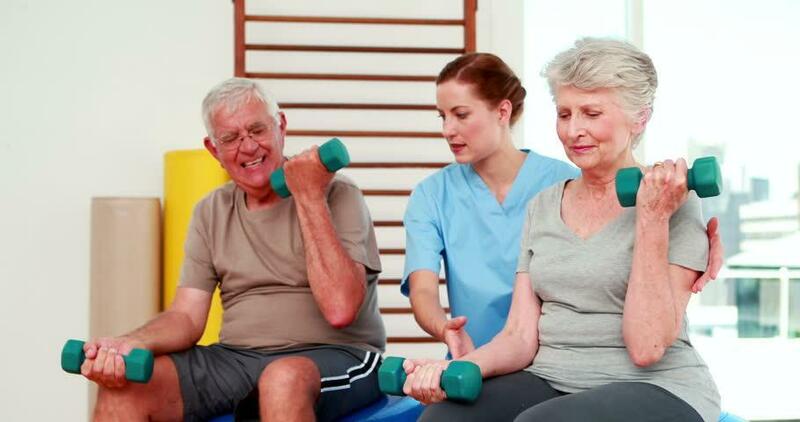 Physical therapy is often a part of a rehabilitation program. The goal is to improve mobility so the senior can get around on their own. It may include strengthening muscles and learning how to use a hip or knee after surgery. Part of the process is helping the person to enjoy restored functionality, which may mean being able to walk again, use their arm to feed themselves or get dressed or handling other routine tasks. The success of the rehab program may determine whether the person is able to go home and live independently or even be able to do certain tasks for themselves in an assisted living community. Another goal in rehab therapy is to reduce pain caused by an injury or as a result of a surgical procedure. For instance, a person with back issues may find relief with therapy exercises which could prevent the need for surgery or even pain medications. Often, pain is caused by weakness or injury to one particular area. Even without treating or repairing that area through surgery, physical therapy can strengthen surrounding muscles to help reduce the stress to the affected area. The result is the person is not only able to move around better, but they suffer less from aches and pains. The overall goal for any senior rehab program is to improve their quality of life. With the ability to move around more and experience less pain, they can enjoy getting out and spending time with family. They may discover they are once again able to play toss with the grandkids or go for a walk with their friends. A benefit of rehab therapy is that it can lessen the risk of another injury. They improve balance and stability to prevent broken bones and other injuries that result from a fall. Because a fall for a senior can take even longer to heal than for younger people, this is an important purpose for rehab programs. The therapist will determine the specific goals of each person and the challenges to develop a rehab program for them. Even if they are unable to return to their former level of ability, it can help them regain a portion of their previous lifestyle or make adjustments so they can build a new level of independence and continue to enjoy life.